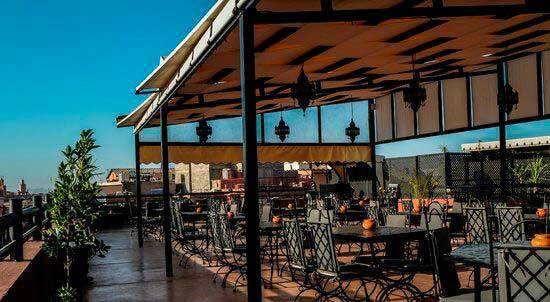 Perle du Sud is a local restaurant in Jmaa Lfnaa area with Moroccan dishes. Have terrace with views, free wifi and life music. “This was a nice restaurant we visited. It had live music but only for half an hour and the music players were very friendly and let us try the Oud as well. The food was really nice and tasty, well presented but the prices were a bit higher than should be. The service was nice and we would recommend this place if you want to have a quality night or celebrate something special. Passage Prince Moulay Rachid,Marrakech, Morocco.